I just saw Deli Man. a documentary film that chronicles the delicatessens that opened up in the twenties on the lower east side of New York City. . They started as German restaurants. As the Eastern European Jewish immigrants began coming to America they brought the foods of Lithuania, Romania, Hungary, Poland and Russia. 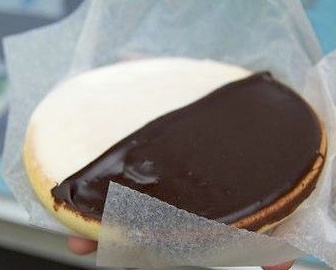 The film tells the stories of the rise of the delis and the Jewish immigrants. Their success and technology erased the old traditional urban blocks with everything you need run by mom and pop storefronts and delis on every block. 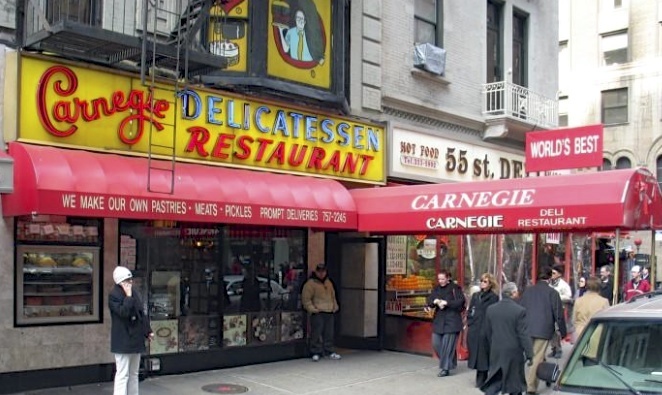 In the 1930s New York had fifteen hundred Jewish delis. Now there are about twenty left. 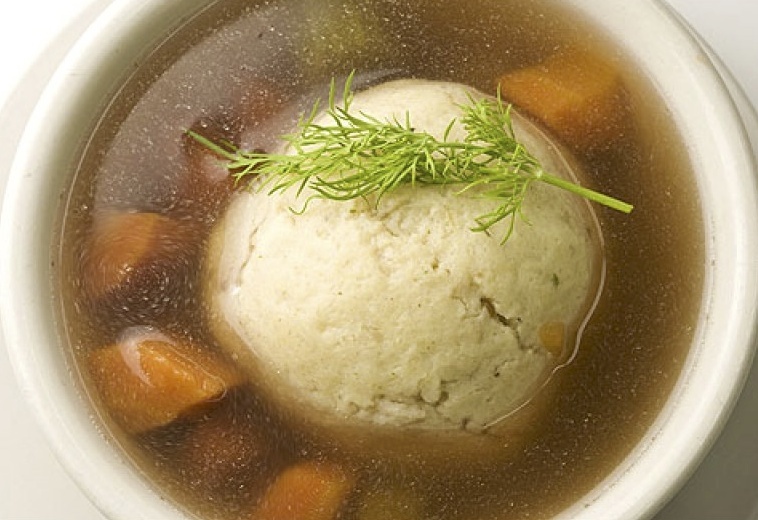 As the Jewish population assimilates and we all become foodies, we don’t just eat Jewish food anymore. In other cultures such as Mexican, Italian and Asian, there are always new immigrants coming in and cooking and wanting the food from their countries. There is no more Eastern European Jewish culture. The ones who live here have assimilated and the Holocaust took care of the rest. The Deli Culture is dying out. There were two or three small delis on a block where I was growing up. There were larger deli restaurants as well. The people who worked in the delis had been there forever. They were the old timers and warranted a certain amount of respect. There was a kind of familiarity that the waiters and waitresses had – like they knew you for your whole life, even if they didn’t. They could be funny, mildly insulting and roll their eyes while you ordered everything on the side or asked for the fat to be cut off the corn beef. I was brought up on natural and health foods at a time that no one was. People who ate like this and exercised regularly were called heath nuts. Now they are called normal. Everyone that I knew except my family was eating Wonder Bread, Hershey Bars, Frosted Flakes and drinking Cokes and lemonade.There was no Whole Foods or McDonald’s. We did not eat out because the kitchens were dirty and unsanitary in most restaurants – according to my father. It was before the rating system and they probably were. We did not use aerosol sprays because he said there was a hole in the atmosphere – something only he knew about so I was sure it was untrue. We did not have a car because it caused pollution and had to ride our bikes everywhere or take public transportation. Everyone else had cars. I was sure he was wrong about that as well. But for some reason, delis were ok. I never asked why. Maybe it was the food of their childhood, their parents who I never met, the lower East Side of Manhattan – food they knew. We could have knishes, blintzes, sour pickles from a barrel, frankfurters, muenster cheese, peppery roast beef and they would let us order a chocolate egg cream. 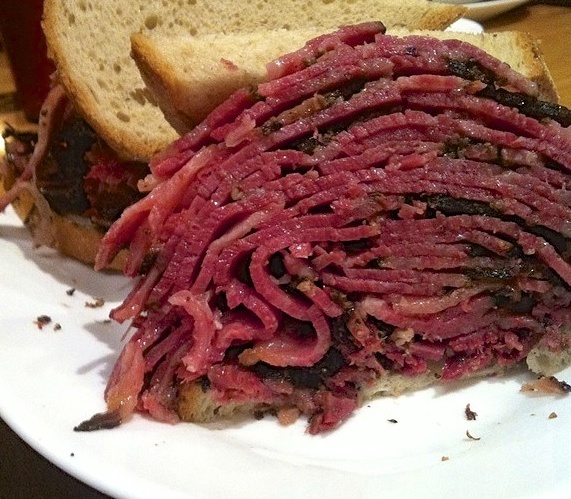 Occasionally we would have pastrami and corned beef sandwiches on fresh rye bread. We ate a lot of smoked fish. Those small smoked golden white fish had a lot of bones but they tasted good and I guess they were cheap. We were not rich and lox was expensive even then. My mother would buy a ¼ lb of lox and could easily feed six people on bagel and lox sandwiches that were mostly cream cheese. I think those neighborhood delis probably kept me alive because there was not much I was eating at home. I stopped in one every day. We could not have salami or bologna because “we didn’t know what was in it and there were probably chemical additives”. I grew up bringing ham sandwiches to school for lunch and lying and saying it was bologna because the Jewish people in my neighborhood did not eat ham. We used to eat Lithuanian black pumpernickel bread. I dreamed about having white bread sandwiches like everyone else. I’m not much of a bread person now unless I see that black whole grain bread of my childhood and then I can eat the whole loaf. Mayonnaise on meat still grosses me out and I’ve lived in California for a long time. The other foods in the delis were weird to me. “What is that?,” we would ask. Stuffed kishka – skin – ew really? ), chopped liver–yuk, , gribenes – fried chicken skin -uh, schmaltz, -chicken fat – gross, borscht – beet soup, (I cannot eat beets in any form), kasha –buckwheat, kreplach – dough floating in soup with liver and onions in it, kugel -noodle pudding, matzoh balls – dumplings made from matzoh that were really big and heavy), tzimmes – root vegetables and varnishkes – pasta with kasha. It all sounded awful and I’ve never liked it. But when I see it and smell it now, it always reminds me of my mom and the stories she would tell of how her mother made those foods. When I turned thirteen years old, I started having summer jobs and my own money. I began going to diners, coffee shops, Italian and Chinese restaurants. I drank cokes. I ate pistachio nuts with the red dye on them that got all over your fingers, red M and Ms (we grew up in fear of red dye #2 and BHA and BHT – which was a preservative in packaged sugar cereal), Bonomo Turkish Taffy – the kind that was really bad for your teeth and Carvel swirl ice cream cones. I was rebelling. But NY delis were always around. You could smell the food as you walked down the street. It was the comfortable smell of my childhood and I thought it would always be there. With the demise of Delis and the Yiddish language comes the loss of our Eastern European cultural roots. With the pursuit of complete assimilation into American culture, and the absence of new Eastern European Jewish immigrants, we lost our history and we are losing our food. I did not pass on the cultural traditions and Yiddish phrases of their grandparents to my children. They don’t know about their life on the lower east side of NY in the thirties and forties. They don’t know the stories from Yiddish theatre and vaudeville that my mother used to tell or the Eastern European melodies I heard growing up. They don’t know the old Jewish comedians, the Borscht Belt, the Catskills or that we were the people of the clarinet. But they do know a good pastrami sandwich and a black and white cookie and that Nate and Al’s Deli makes a delicious chicken soup when you are sick.